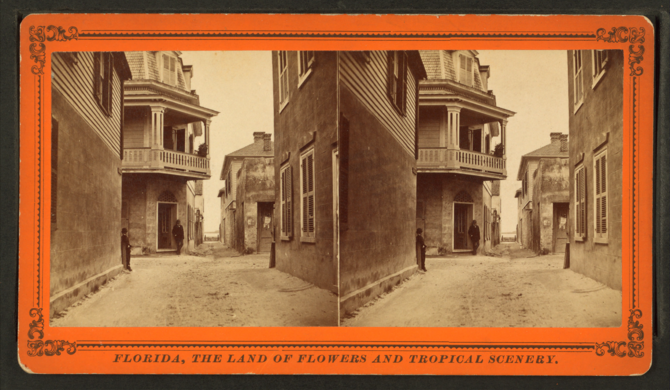 Measuring under seven feet wide, St. Augustine’s Treasury Street may be the narrowest street in the United States. And the lane is skinny by design. Treasury Street connects Bay Street on the waterfront with what used to be the Royal Spanish Treasury. Local legend says the street was built just wide enough for two men to carry a chest of gold to and from ships docked on the bay, but not wide enough space for a horse-drawn carriage to squeeze through and ride off with the money. In the former Spanish port, piracy was a serious concern, especially in the walk between the bank and the bay. On Bay Street, next to an Old Town Trolley Tour stop.